The rise in import duties on Chinese goods from 10% to 25% was meant to come into effect on 1 March. Mr Trump told reporters that the US and China had made “substantial progress” in trade talks over the weekend. 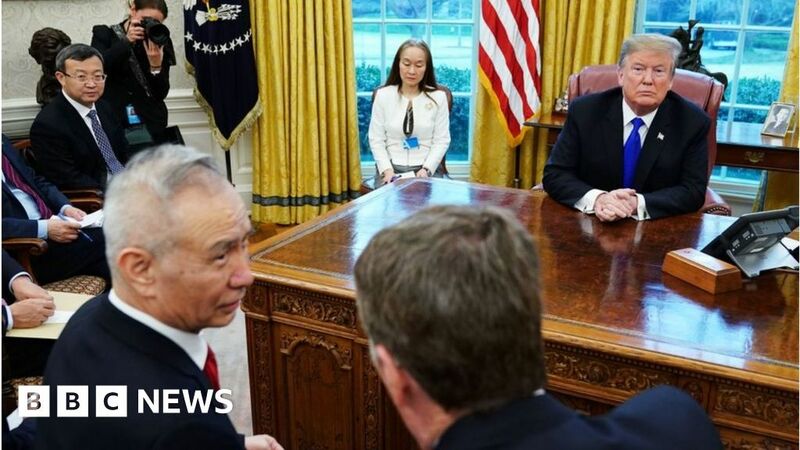 Mr Trump’s decision to delay tariff hikes on $200bn (£153bn) worth of Chinese goods was seen as a sign that the two sides are making progress on settling their damaging trade war. Sources told CNBC on Friday that China had committed to buying up to $1.2tn in US goods, but there had been no progress on the intellectual property issues.